Paris: France is ready to impose further sanctions on Iran if no progress is made in talks over its ballistic missile programme, the French foreign minister said on Friday. 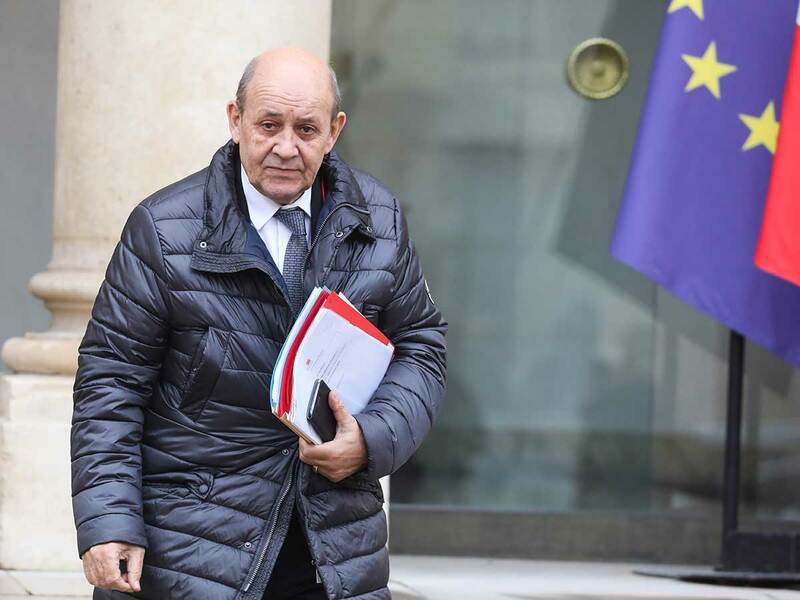 Jean-Yves Le Drian, who this week reiterated support for a European-backed system to facilitate non-dollar trade with Iran and circumvent US sanctions, said France wanted to see Tehran rein in its missile activity. In response, Iran’s Foreign Ministry spokesman Bahram Qasimi “reiterated that any new sanctions by European countries would lead to a re-evaluation by Iran of its interactions with those countries”, the state news agency IRNA reported. “Iran’s missile capability is not negotiable, and this has been brought to the attention of the French side during the ongoing political dialogue between Iran and France,” Qasimi added. A UN Security Council resolution enshrined Iran’s 2015 nuclear deal with Britain, China, France, Germany, Russia and the United States in which Tehran curbed its uranium enrichment programme in exchange for an end to international sanctions. Last May, US President Donald Trump pulled out of the nuclear deal, approved before he took office, and reimposed sanctions on Tehran, saying it was flawed as it did not address ballistic missiles or Iran’s support for armed proxies in Syria, Yemen, Lebanon and Iraq. But US sanctions over dollar transactions have made investors wary about doing business with Iran, something the European-backed special purpose vehicle (SPV) is meant to tackle.